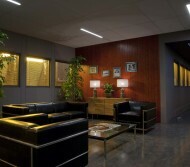 Lighting is an important part of our environment. It is needed for practicality, ambience and safety. We recognise that lighting is one of the most important aspects of Architecture both internally & externally. How a space works, looks and feels has as much to do with the lighting as the way it is planned, constructed and furnished. 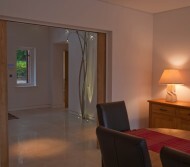 Our role as the lighting designer is to help you create the optimum lighting scheme for your space. Lighting requires a careful balance between its different sources, their uses, as well as an understanding of their effect and control. At the flick of a switch the function of an area can be transformed from light and practical, to subtle and atmospheric. Our working relationship begins right at the beginning of your project, with collaboration continuing throughout all stages of the design and construction process. The initial meeting with yourself will discuss your needs, aspirations and life style; energy efficiency & most importantly, budget. A well planned and detailed lighting scheme with a comprehensive specification is a must for any medium to large scale project and also extremely useful for smaller ones. 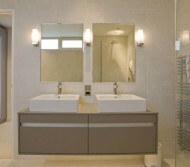 Careful planning of your lighting scheme also minimises delays to your works schedule. 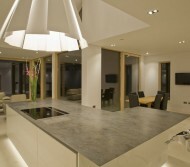 As a company we will help to ensure that you get the lighting that you want exactly where you want it. 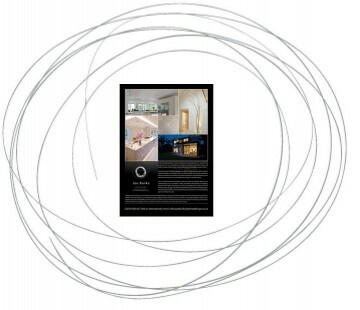 Creating the bespoke lighting scheme requires preparation and careful coordination alongside other trades. For the best results, it is advisable to involve us once your working drawings, landscape plans, or furniture plans have been established, work on the lighting design can then commence so that it is completed well in advance of first electrical fix. We are conscious that at the end of the project it is you who will be living or working in the spaces that we have lit for you. Our working ethos is always of two-way communication. It can take more than one presentation of ideas to create the perfect solution for you. It's the feedback from yourselves that help us get there as quickly as possible! We believe that as a professional lighting consultancy we will add value to your project. Through cost-control techniques we can help you achieve improved energy efficiency and reduced lighting costs at the same time as transforming the atmosphere of an area, so rather than thinking of us as a luxury, think about us as an investment for both you and for the future of our environment. 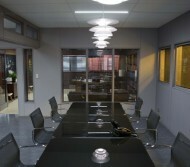 We would welcome the opportunity to discuss with you your lighting needs. Please contact us for a consultation and we will do our very best to design the most appropriate lighting scheme for your needs.